﻿﻿ How are the drivers of deforestation and forest degradation addressed in the national REDD+ policy documents of Indonesia and Vietnam? The research for this thesis was carried out as part of a global comparative study (GCS) of reducing emissions from deforestation and forest degradation (REDD+), led by the Center for International Forestry Research (CIFOR). The study provides an assessment of how the key drivers have been addressed in the REDD+ policy documents of Indonesia and Vietnam, especially the national REDD+ strategies. Indonesia and Vietnam are among the first countries to have published their national REDD+ strategies which are aimed at guiding the national implementation of REDD+ in each country. In order for implementation to be successful, the strategies need to address the country specific drivers of deforestation and forest degradation and present interventions/ mechanisms to tackle these drivers. The study also presents what interventions are proposed in the documents to reduce the pressure that the main drivers create on forests. The national REDD+ strategy of Indonesia takes a holistic approach to addressing the major drivers of deforestation and forest degradation. 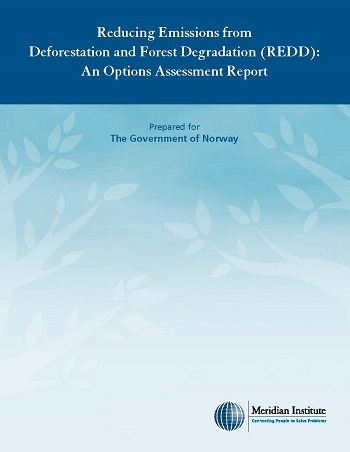 The document builds around three strategic programs, which propose interventions to reduce land use driven deforestation and also take into consideration the underlying processes behind the key drivers, whereas the strategy of Vietnam is more general. 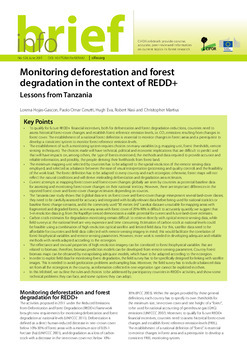 It does not suggest specific actions that would result in a direct change in the carbon stock, but rather concentrates on building capacity and setting up the enabling footing for REDD+.